According to the Ministry of Minority Affairs, now Muslim women aged above 45 will be allowed to go for the pilgrimage without 'mahram' in a group of at least four. New Delhi: Terming the policy of allowing Muslim women to perform Haj only in the company of a male guardian as "injustice", Prime Minister Narendra Modi today said his government has removed the restriction following which hundreds of women have applied to travel alone for the pilgrimage. In his monthly radio address 'Mann ki baat', the prime minister said removal of the restriction of having a male guardian or 'mahram' may appear as a "small thing", but such issues "have a far reaching impact on our image as a society". He said when he first heard of the restriction, he was surprised as to who wold have drafted such a rule. "Why this discrimination? And when I went into the depth of the matter I was surprised to find that even after 70 years of our independence, we were the ones who had imposed these restrictions. For decades, injustice was being rendered to Muslim women but there was no discussion on it," he said in his broadcast. 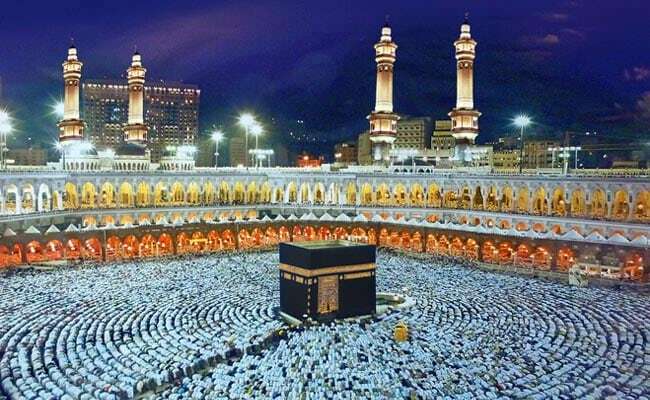 "I am happy to note that this time about 1300 Muslim women have applied to perform Haj without 'mahram' and women from different parts of the country from Kerala to north India, have expressed their wish to go for the Haj pilgrimage," he said. He said it is his firm belief that the journey of India's progress has been possible due to women-power and on the basis of their talent...it should be our constant endeavour that our women also get equal rights and equal opportunities...," he said. He, however, had referred to the issue of instant triple talaq or 'talaq-e-biddat' while inaugurating the 85th Sivagiri Pilgrimage Celebrations at Sivagiri Mutt in Kerala via video conference this morning. Speaking about Christmas, Prime Minister Modi said Lord Jesus Christ taught us about the spirit of service or 'sewa bhaav'. "Be it any religion, caste or creed, tradition or colour in this world; the spirit of service is an invaluable hallmark of the highest human values," he said.